Bury Recruitment has become a renowned Recruitment agency, within the North West of England since the business was established in 2014. During that time, Bury Recruitment has successfully recruited for many businesses throughout the UK. 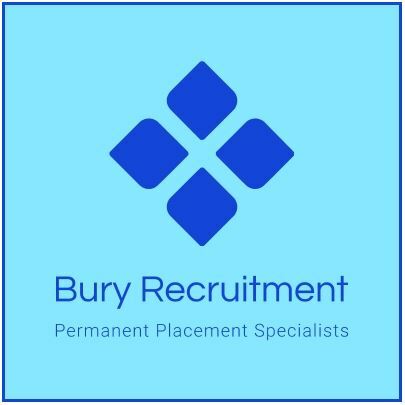 Our existing clients know that they can depend on our services and I believe that they consider Bury Recruitment to be an extension of their own recruitment team, as their first choice for recruitment. We offer an experienced and friendly professional service, so let us know how we can be of service to you and we’ll be happy to assist you. Bury Recruitment's Director (Richard Heys) is a Chartered Human Resources professional, who has gained more than 20 years experience of working within the people management industry. He holds a professional membership at the Chartered Institute of Personnel and Development (CIPD). We provide a unique service to suit your preferred hiring style, from simply advertising your vacancy (on social media platforms and major UK job boards), to managing your whole recruitment process………..you choose a service that suits your needs and budget. We offer unbeatable rates (fees starting at £95) and incredible customer service, to not only meet your needs, but also exceed your expectations of what a dependable Recruiter can be.